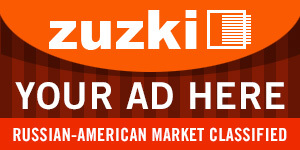 Zuzki.com can help you achieve your advertising objectives, offering a wide variety of media formats to help you strengthen brand awareness and ultimately yield a high return of investments. All Rates are NET amounts and can be changed any time without any notices. Full Pre-payment to MASTER PAGE is required. Deadline for Advertising materials and Pre-payment is not later than 3 days before the Starting Date. Additional Fees for Design, Redesign, Translation Services may apply. Additional Discounts for Long Term (4 weeks or more) Banner Advertising campaigns are available.